“This day reminds us to care for nature and work for the betterment of earth's environment..."
With action, Sikhism's positive role will be visible all over the globe! Is the Sikh Youth Connected with Guru Nanak and Guru Har Rai? EcoSikh engages youth in Punjab and around the world with the message of Pavan Guru, Pani Pita and Mata Dharth as given by Guru Nanak. Who will Stand for Punjab and its environment? 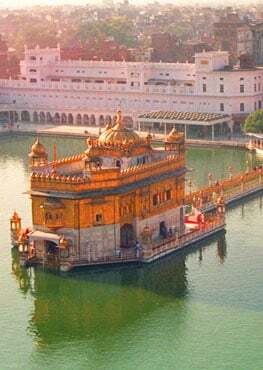 EcoSikh has represented the Sikh perspective on Environment at various forums around the world. 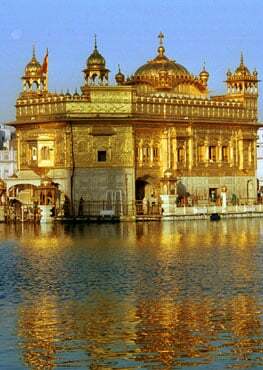 “We have put in efforts to rejuvenate the ‘galliara’ of the Golden Temple. The lush green lawns, trees and a promenade across the entire stretch not only add to the beauty of the surrounding but offer an ideal place for pilgrims to savour the charm of splendid architecture of the shrine and a place for a morning and evening walk for the local residents,” he said. The tree is approximately 300 years’ old, spread over 3.5-acre land. The ‘magical’ tree represents a complete ecosystem supporting rich biodiversity, including peacocks, owls and many other birds, reptiles such as snakes, monitor lizards, garden lizards, insects, arthropods, millipedes, nematodes, epiphytes, bryophytes, fungi, algae and lichens. The yearly tour is an opportunity for local farmers to see what sorts of things are being done at the research station. President of EcoSikh informed TOI on Saturday that EcoSikh had proposed 100 acres of land to be attached to the site to make a sacred forest and develop the area as an eco-tourism spot.